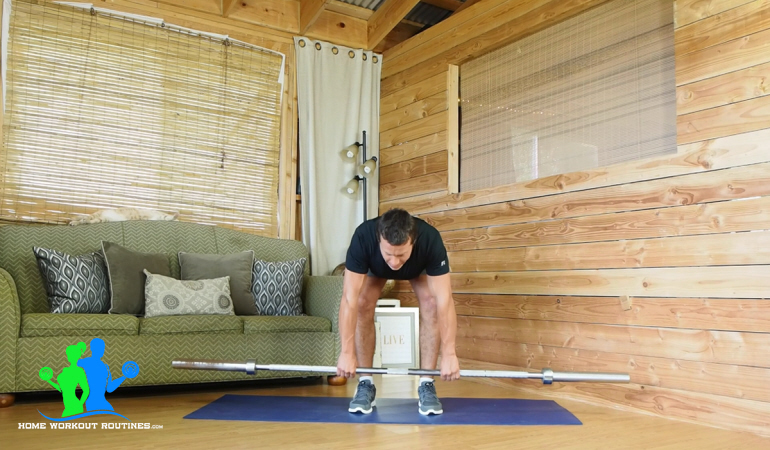 The Romanian deadlift or straight leg deadlift workout is said to be one of the best barbell movements for your legs and back. But you must make sure that you get your technique right and use proper form. To develop larger and stronger muscles, load the barbell with a weight that you can complete 4-8 reps of the exercise with. If you want to improve your muscle tone and endurance, choose a weight you can complete 12-16 reps of the exercise with. Here’s how to perform the Romanian deadlift with a barbell. 1.Place the barbell on the ground in front of your feet and stand with your feet a shoulder width apart. 2. 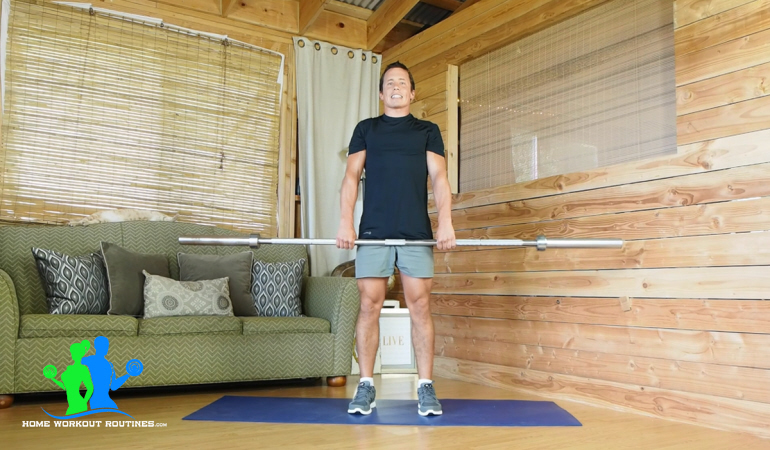 Bend at the waist and grab the barbell with an overhand grip. Keep your hands around a shoulder width apart. 3. Return to a standing position, lift the barbell off the ground and rest it in front of the top part of your legs. 4. 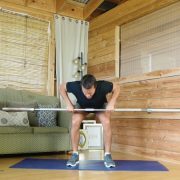 Bend at the waist, keep your shoulder blades engaged and lower the barbell down, stopping just before it touches the ground. 5. 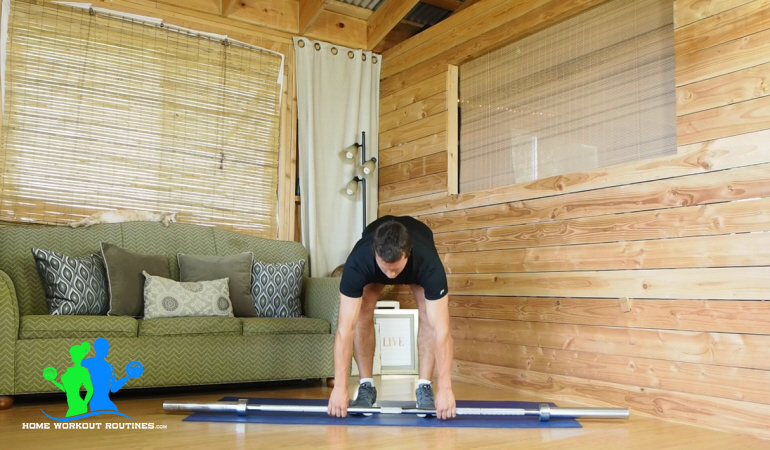 Straighten at the waist and bring the barbell back up so that it’s resting in front of the top part of your legs. Keep your shoulders engaged and lift with your hamstrings. 6. Repeat steps 4-5 for your desired number of reps, then place the barbell on the ground, stand up straight and rest for 1 minute. 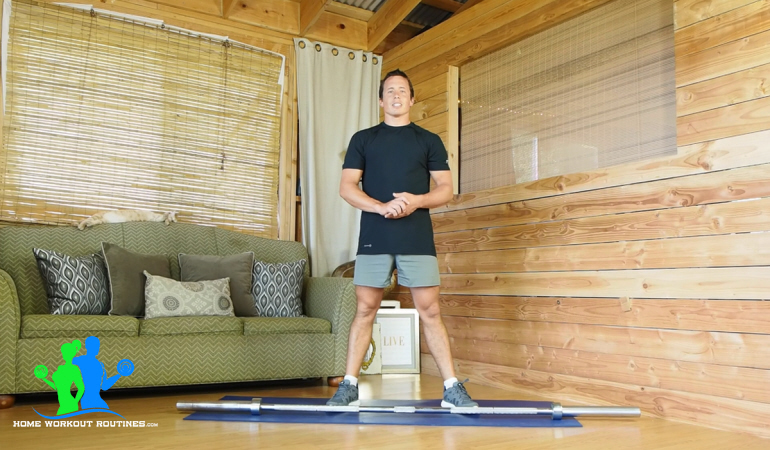 This is a great isolation strength exercise for targeting the hamstrings and the glutes.